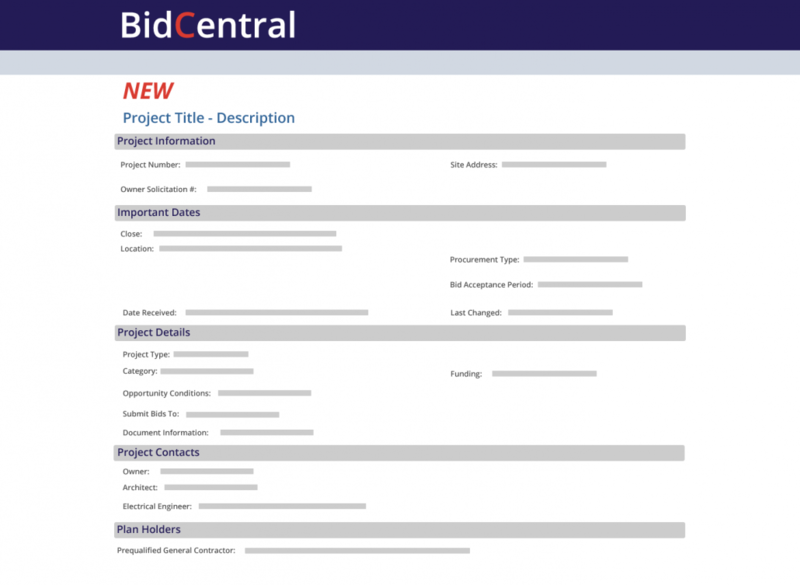 Whether you’re posting a project, or looking for projects to bid on – BidCentral’s Project Plan Rooms store full project plans, highlights bidding schedules, provides contractor directories and pushes project update notifications. 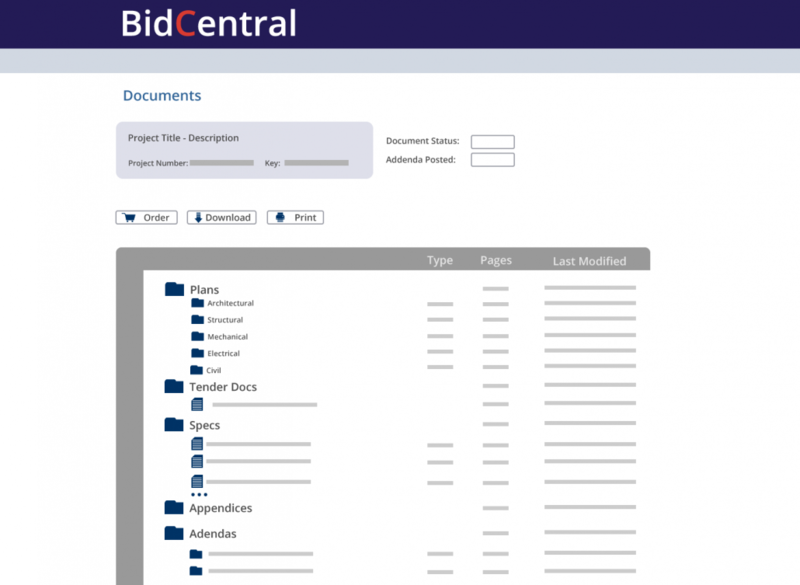 You’ll love how little time you spend looking for documentation through BidCentral. Set schedules through Bid Calendars, establish Private Planrooms to be selective in sourcing sub-contractors, and enjoy Intention to Bid (ITB) automation tools. Managing your projects has never been more efficient. 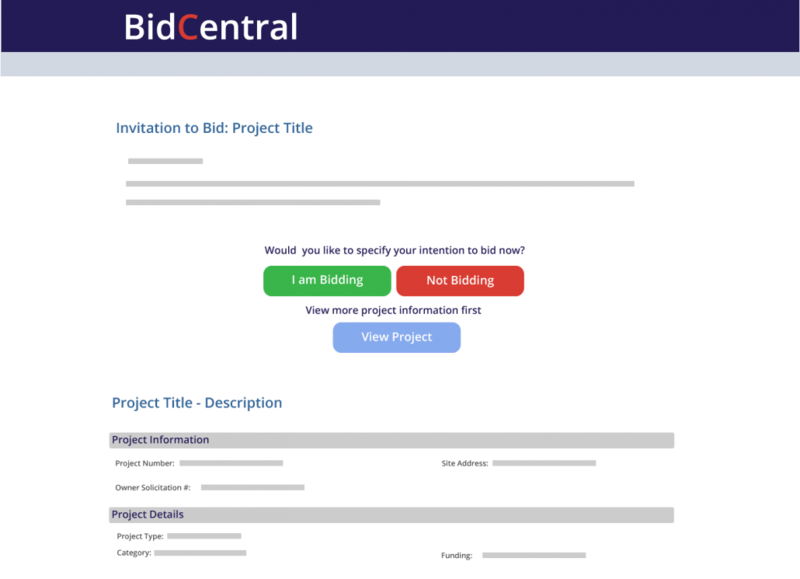 Our BidCentral Online Bidding for Subcontractors (BOBS) Module allows Trade Contractors to submit secured bids to confirmed General Contractors who then have adequate time to complete a bid to owner. Bidding online streamlines the process for those with strict security requirements. Maintain your own private project plan room, accessible by only you and those invited by you. Store all of your project details, deliver automated addenda and updates to project invitees, track all your audit-trails with suppliers. Monitor in real-time which companies have downloaded your ITB documents and addenda, request or mandate an ‘Intention to Submit’ to determine if users are just browsing or in fact committed to bidding. BidCentral has a robust Contractor Directory so you can easily access your preferred subcontractors – or find new ones when all your ‘go-to’s’ are booked up. Get more bids on your projects to ensure you pull together the best bid. 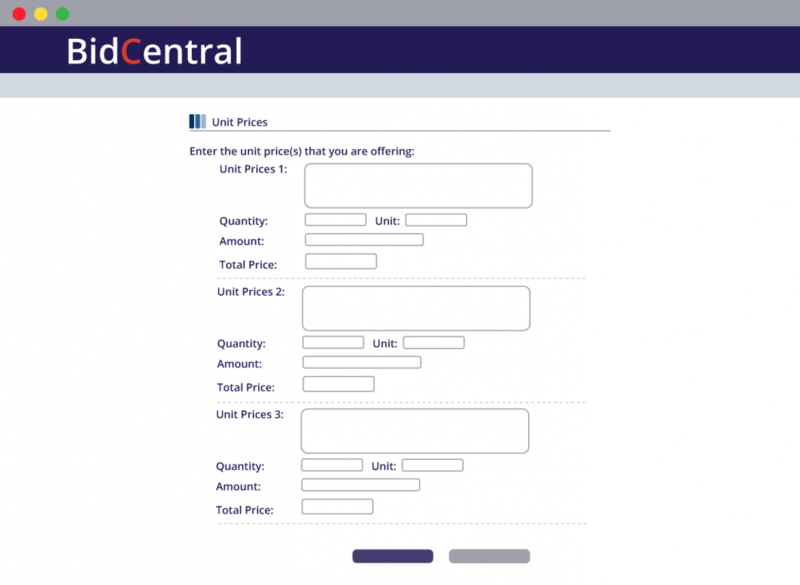 Let our sales team provide a guided demo to see how BidCentral can help your company.